Please note: Pages docs and PDFs do not get converted. 1. 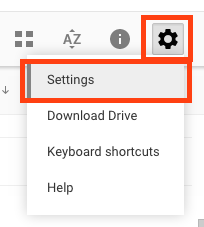 From your Google Drive select the MS Word Document. 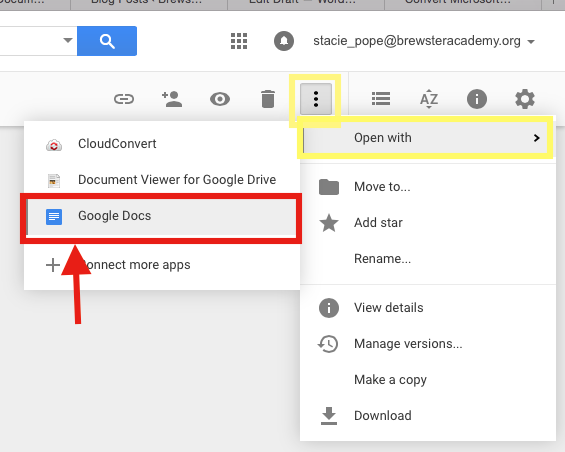 3.Then choose “Google Docs” from the drop down menu. 4. 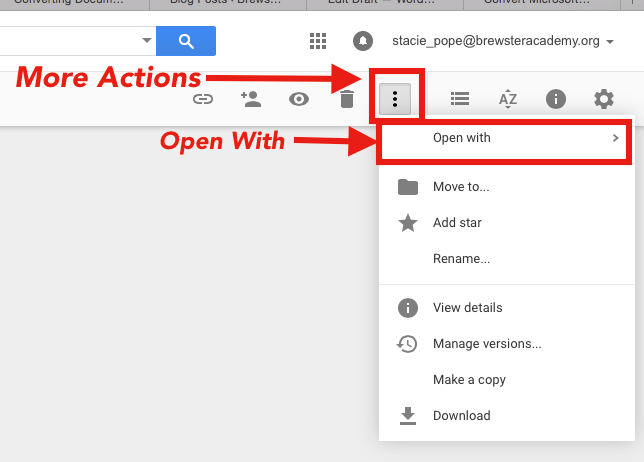 Your document will take a few seconds to open and you will see the “thinking page” …. 5. 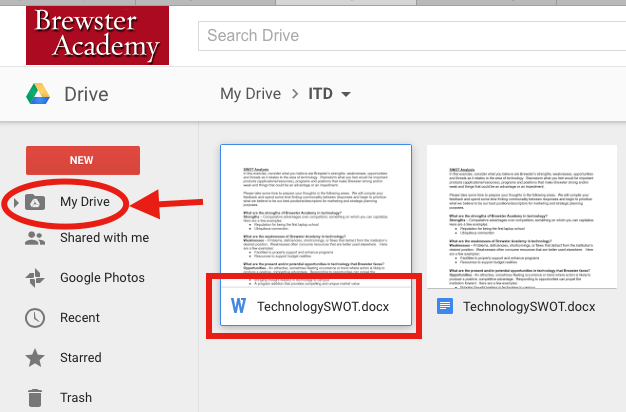 Your Word Document will automatically open in the Google Doc format. Some of the original formatting may be slightly different. You can edit and share as needed. 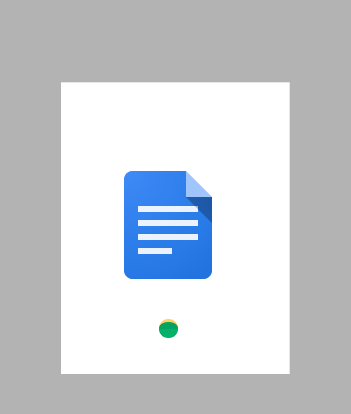 This will not replace the original Word Document. Both copies will be saved in your Google Drive.